Carbon3D’s CLIP: Faster than Any Other 3D Printing System – and Cooler Looking! A picture is worth a thousand words with CLIP 3D’s laser-cured liquid printing. 3D printing is one of the best up and coming tech fields to follow. CLIP 3D Printing is the fastest device to date. Designers and engineers are starting to rely on 3D printing to stay competitive but the process is far from streamlined. 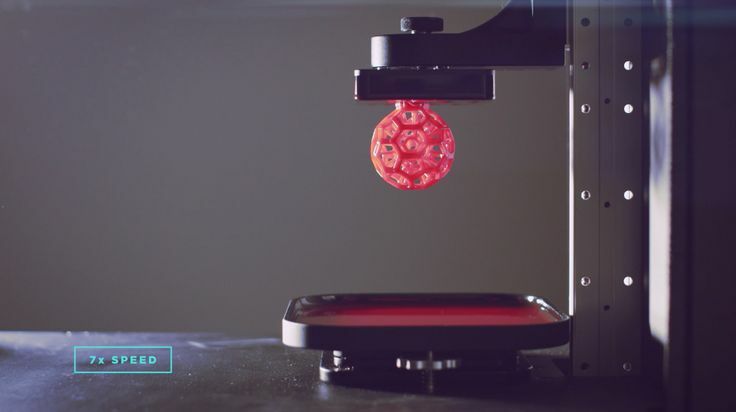 Companies like Carbon3D are ahead of the pack with the coolest looking printing process that just happens to also be faster than anyone else out there. By rethinking the way the resin is cured, Carbon3D got their newest printer to produce 25-100 times faster than any other resin printing techniques, as of early 2015. It’s like they just couldn’t decide between fast an beautiful. Peep the video at the bottom of this article~! 3Dprint.com broke the story, announcing Carbon3D’s Continuous Liquid Interface Production technique. 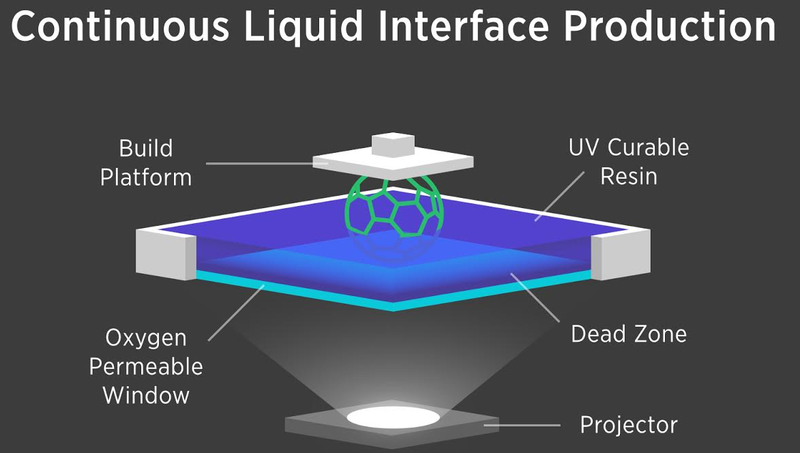 CLIP built off of the most innovative ideas that have already been done with 3D printing by utilizing photosensitive resin and an incredibly precise laser to cure the liquid into a solid from the bottom of a clear pan. Inspired by techniques which print and cure layer-by-layer, CLIP instead uses it’s laser to cure in conjunction with oxygen which inhibits the curing process allowing for variable ratios of viscosity. This allows the printer to print in 3 dimensions simultaneously. Carbon 3D has managed to keep a proprietary amount of this technique secret while still nailing down $41 million in funding from venture capital firms. It’s almost like they 3D printed themselves from liquid into the solid competitive start-up they are today. As the fastest guys on the scene Carbon3D are the hottest new guys. The slow production speed is one of the biggest reasons 3D printing hasn’t become the manufacturing norm and CLIP printing is expected to change that moving forward from early 2015. Cosmoso.net is watching this fascinating development on the edge of our 3D printed seats.